Three fully independent locations on the first floor of a building at Via Gualtiero di brienne. Dated 1.700c. 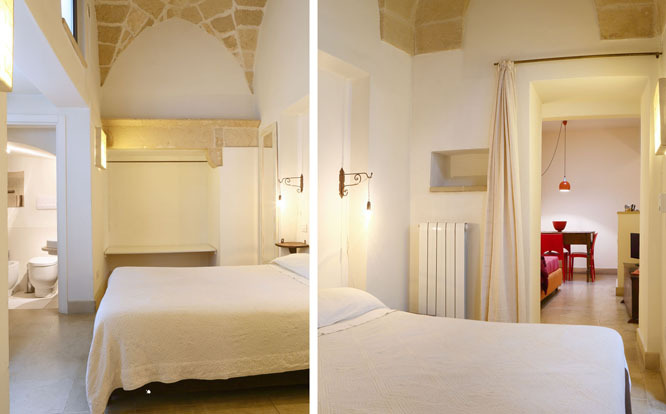 ,this building is situated in the heart of the historic center of Lecce, next to a Greek church and only a few steps away from Porta Napoli and the beautiful church of Santa Croce, jewel of baroc style. 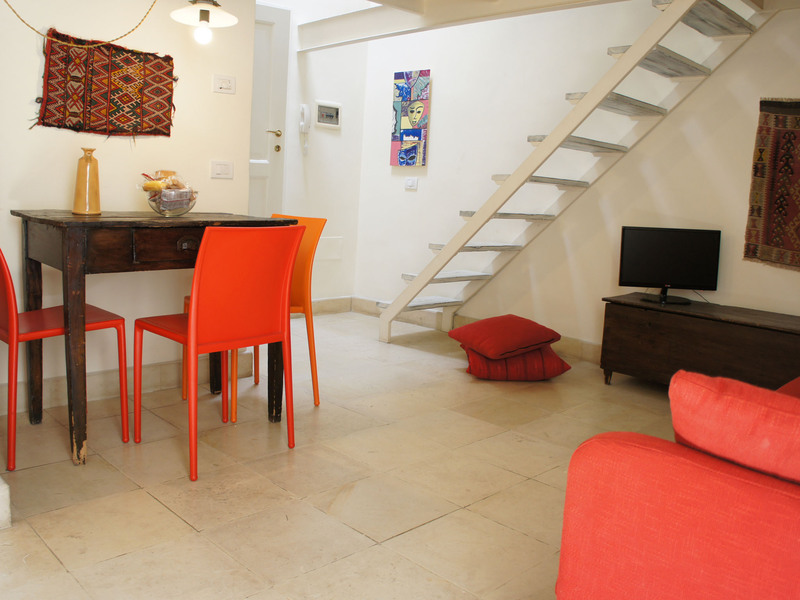 Every apartment is compound by sleeping room, kitchen and mini-bar, private bathroom and a big and elegantly furnished terrace, which can be also used by guests as a solarium. By contaminating the traditional materials with deconstructive interventions and by creating contrasts and suggestions the architect Filomena Carbonelli combined needs and comforts with modern lines and the classicism of ancient geometries. Walking distance from parking place and historic centre. Transport to and from airport and railway station. Domestic animals allowed. Baby cradle.